Direct Sportslink secured Johnny Bench for the Franciscan Sisters of the Poor fundraising dinner at Great American Ballpark in Cincinnati, Ohio. Johnny joined Cincinnati Reds legend Joe Morgan and Pittsburgh Steelers great Franco Harris in an evening filled with cocktails, dinner, moderated Q and A, pictures, autographs, and a silent auction. To hire Johnny Bench for an appearance, speaking engagement, endorsement or keynote speaker event for your fundraiser or corporate event please contact a Direct Sportslink booking agent. A Johnny Bench personal appearance, Johnny Bench speaking engagement, or Johnny Bench endorsement will reflect well on your company. To hire Johnny Bench now for any corporate appearance, fundraiser, motivational speaker event, personal appearance, autograph signing, or website endorsement please contact our celebrity agents at 1-877-6-SPORTS. We will contact Johnny Bench or contact Johnny Bench's agent and provide you with the booking fees and availability immediately upon your request. Direct Sportslink is the only sports speakers bureau and talent booking agency based in the United States securing only sports talent for corporations, associations, and organizations for motivational speaking engagements, personal appearances, and endorsements. We are the premier sports celebrity booking agency and a sports celebrity procurement expert. Accordingly, we will provide you with any relevant Johnny Bench website information and booking agent details so that you can hire Johnny Bench for your next event. Johnny Bench was one of the leaders of Cincinnati's "Big Red Machine" that won six Eastern Division titles, four NL pennants, and two world championships during the 1970s. Other "Big Red Machine" teammates included Joe Morgan, Pete Rose, and Tony Perez. He won his first most valuable player award in 1972. His league-leading 45 home runs and 148 RBI helped the Reds to the division title. He came close to duplicating those numbers in 1974, again leading the league with 40 home runs and 125 RBI to win another MVP award as the Reds won another division title. They won the pennant both seasons but lost twice to the Oakland Athletics in the World Series. In 1974, he led the league in RBI for the third time, with 129. The Reds finally won the World Series in 1975 and they repeated the following year. Bench's offensive numbers weren't nearly as spectacular in those seasons, but he was still clearly the best catcher in the league. In 1977, he was named the All-Star starter for the tenth consecutive year. He won ten Gold Gloves during his career. 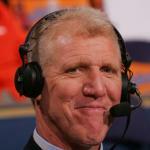 After knee problems continued, he retired after the 1983 season and became a radio broadcaster. In 2011 the Reds unveiled a statue of Bench in front of Great American Ballpark in Cincinnati. Johnny has been giving motivational speeches for many years. 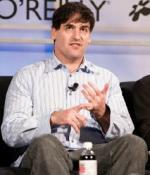 He has spoken to numerous corporations, including Panasonic, Nokia, Wal-Mart, and Compaq. A high energy speaker, his motivational speaking engagements focus on the vowels of success "A, E, I, O, U" (Attitude, Effort, Individual, Opportunity, Using). Johnny Bench has been making personal appearances for many years since he retired from baseball. He is an avid golfer so a golf celebrity appearance would be ideal. He is also available for autograph signing appearances, trade show appearances and other personal appearances for a reasonable fee. Please contact us to secure Johnny Bench for your next event. 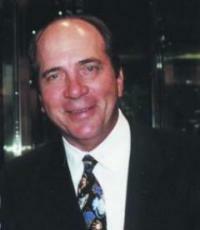 Johnny Bench has endorsed several companies and products. His most memorable endorsement is probably the Krylon paint "No runs, no drips, no errors" television commercial endorsement. However, his Fifth Third Bank endorsement is a true sign of his longevity as a spokesperson and a positive sign that his highly coveted name, face, and image awareness has staying power. Based on your interest in Johnny Bench as a speaker or for a personal appearance, Direct Sportslink has provided you additional links below for other sports talent with similar appearance fees, speaker topics, and categories that match Johnny Bench.